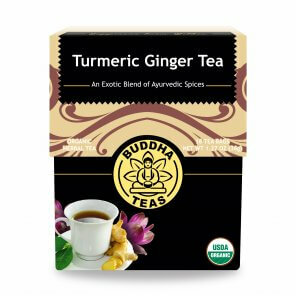 Frequently paired for consumption, the combination of turmeric and ginger in tea is an obvious winner when seeking a warming, stimulating cup. 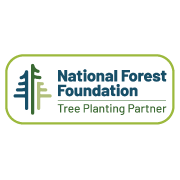 Considered close relatives as far as roots go, in this instance together really is better. Three minutes doing a web search for what turmeric is good for and you’ll discover so many touted benefits you’ll wonder why we can’t just live on it! It’s not exactly the turmeric itself, though; the magic stuff hidden within, curcumin, is what makes this ancient root so exciting as an anti-inflammatory and anti-oxidant. When paired with its BFF, ginger, this golden cup of warming delight is simply the bomb. 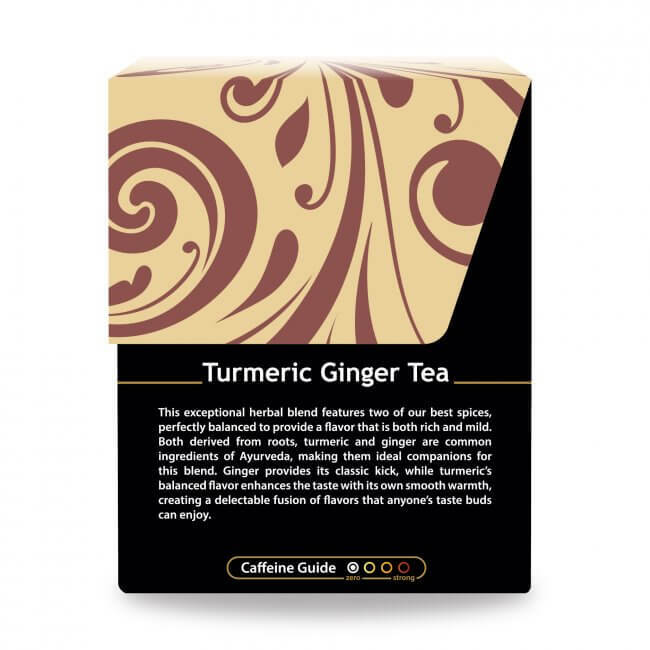 This potent anti-inflammatory, antioxidant duo boasts superhero status, and has made our Turmeric Ginger Tea one of our most popular, and powerful, teas for those seeking easy, delicious ways to attain greater health and vitality. The pungent, mildly bitter taste of turmeric, when combined with slightly pungent, delightfully sweet ginger, makes an obvious perfect combo. What Does Buddha Teas Turmeric Ginger Tea Taste Like? 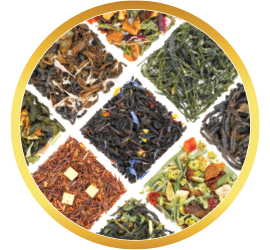 Warming, spicy, earthy, pungent, sweet … all the yummy tastes that a health-oriented, traditionally-minded, well-reputed tea blend requires. 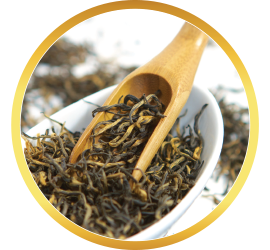 This popular blend is one of our best-selling, and most beloved teas. Steep at a full boil for 3-7 minutes, depending on how strong you desire the flavor. Add milk of choice, such as almond, soy, cow's milk, or even coconut. When a sweet treat feels right, we enjoy stirring in a dash of honey as well. Review Title: Turmeric & Ginger - who knew?! 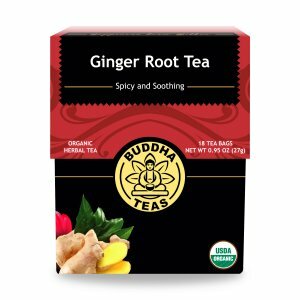 Never been a big fan of either Turmeric or Ginger, but tried this tea cuz it was recommended for IBS. 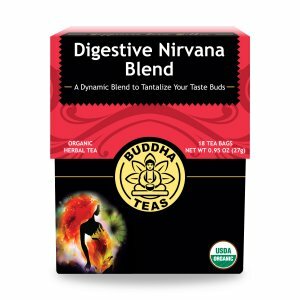 I do like this tea & my IBS seems better, so now I'm a fan! This tea has become my only tea. 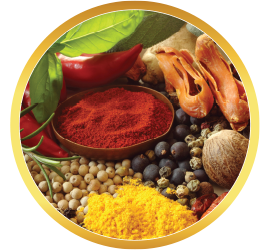 For those who are looking for the curcumin properties - black pepper is essential for maximum absorption. 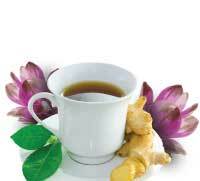 Most Turmeric teas don’t have the pepper; so useless in fighting inflammation. 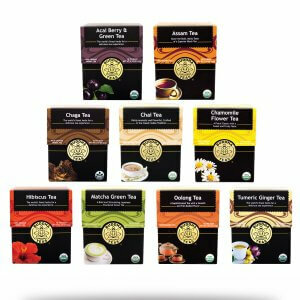 After using this tea for 3 months and drinking 2 - 3 cups a day, my energy level is super and I feel it is a good detox too. I just ordered 24 boxes, as not available where I live. The most wonderful combo for flavor. I was hesitant, but this is my new tea. 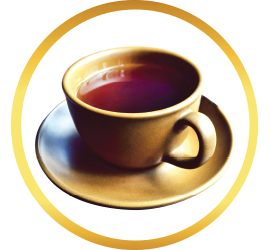 Although good, this tea is a bit strong for me (I always add honey to soften the taste). However, I do have to fight my son for this, as he has found it really helps him after a good workout. SOOTHING - RELAXING - DELICIOUS FLAVOR - WONDERFUL PRODUCT! This tea is excellent! The service was very quick. I ordered it, and two days later it arrived! I’m addicted ... I love this tea! Warm, tangy and delicious is the best way to describe it. I drink it both at home and take tea bags to the office. I will most certainly be purchasing more soon! 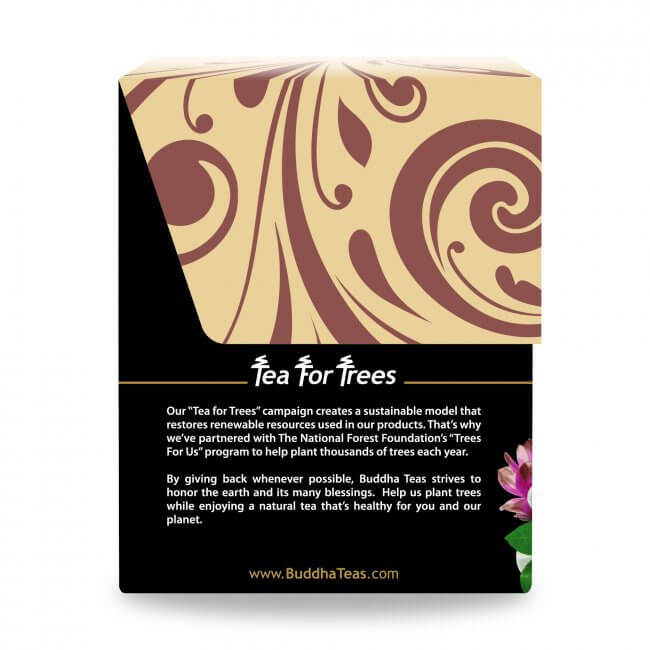 This tea is an antioxidant tea, but it’s great if you just want to have a cup and relax. 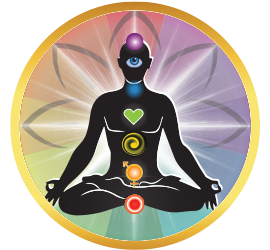 Left me feeling really good afterwards-it feels a lot like your body is being replenished with good stuff. Will definitely be getting more in the future!! This is the best tasting tumeric ginger tea I've ever had. It has a little bite from the pepper but not much. Great flavor and I'm able to drink it now with no sweetener ... which is huge for me. Highly recommend it. 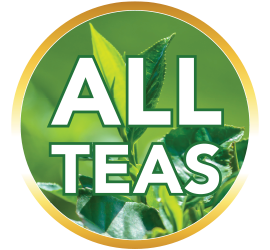 I’m not a huge tea drinker, but 8 spine surgeries and two knee surgeries have left my body in a state of permanent inflammation. I’ve taken over my own health care in the past year with dietary changes and feel better than I ever did taking big pharma pills. 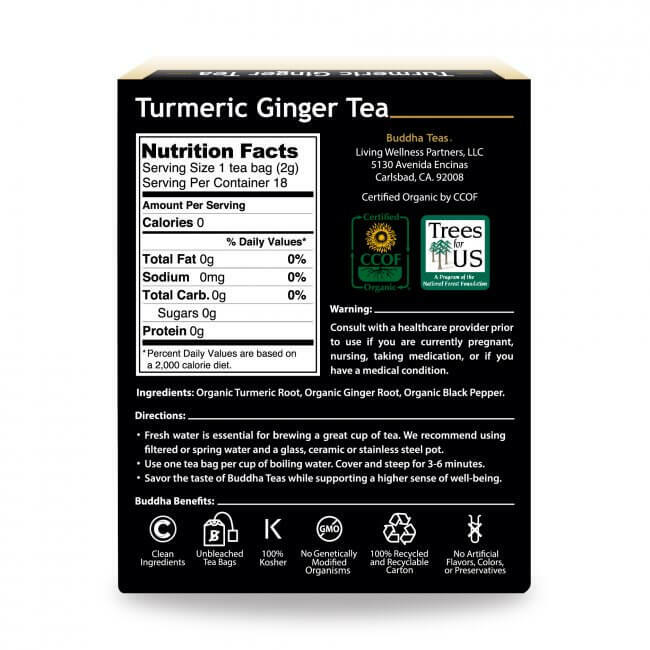 This turmeric and Ginger tea is the bomb. It’s even better when you buy it with the CBD. 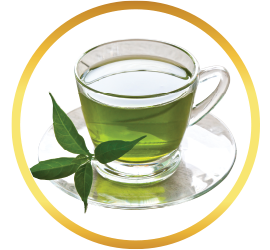 It has a great taste and makes a pleasant AM or PM tea. It’s effects are subtle to barely noticeable if you only drink it 1-2x a week, but drink it 4-6 times a week so it is just part of your routine instead of popping a Motrin of Albee, and you will start to notice it’s great anti-inflammatory properties. Feel a cold or flu coming on and your ache? 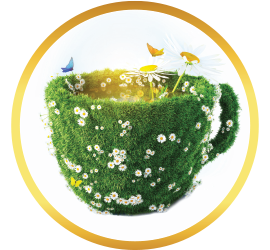 Reach for this tea with a touch of lemon and honey and you will feel much better the next day.